Use this free printable template to make a pretty heart book. This little book is made by folding the paper concertina style. When the cover is added, four little pockets are formed and these can hold separate heart inserts if required. Either print the template onto scrap paper and use this to trace the template onto best paper or print directly onto best paper. While I normally recommend printing onto scrap paper so you can reuse the template, with this project, as the cutting and folding needs to be precise, I recommend printing the template directly onto best paper. Two versions of the template are available. The first prints in black, the second in light gray. Use the lighter colored template if you are going to print the template onto a lighter colored paper. Although the printed side is at the back of the pages, the gray option will ensure that the print fold lines do not show through lighter weight papers. For a step by step guide to making this folded paper heart book see - Folded Paper Heart Book. This template can be used to make inserts for the heart book. The template has eight inserts in case you are making multiple books, you only need four inserts per book. For a step by step guide to making this folded paper heart book see - Folded Paper Heart Book. This template can be used to make a cover for the heart book. The template shows three identical templates in case you are making multiple books, you only need one per book. 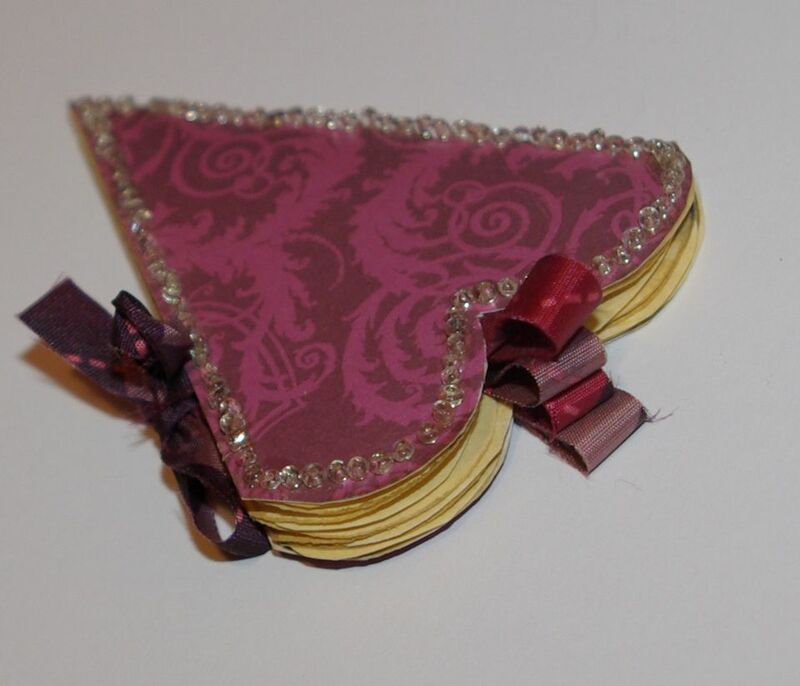 For a step by step guide to making this folded paper heart book see - Folded Paper Heart Book.